Do runways always handle traffic in the same direction? Another question asked how runways were labelled left and right (8L and 8R, for example). But of course "left" and "right" depend on your perspective. If you were approaching from the opposite direction, then left would be right and vice versa. Does this mean that runways only handle traffic coming from the same direction all of the time? Are there no ambidextrous runways that flip depending on the prevailing winds or whims of ATC? Yes, generally they flip based on prevailing winds, though I can't imagine they flip based on the "whims" of ATC often. Most airports will have a "calm wind runway", which is the preferred runway for operations in calm or near-calm winds. Due to terrain or similar factors, some runways may be only usable one direction, but both directions will still be numbered, as you will takeoff and land pointing different directions (for example, Lukla airport in Nepal). Alternatively, as Jan Hudec noted, some will operate one-way, such as TNCM, though again, both runways are numbered. Occasionally, the opposite direction is not numbered, though this is rare. Not the answer you're looking for? Browse other questions tagged air-traffic-control runways or ask your own question. Why do pilots say “clear of the active” at non-towered airports? How would ATC try to establish contact with a VFR craft? Are there runways that are numbered only on one side? How is a traffic pattern oriented, entered and exited? 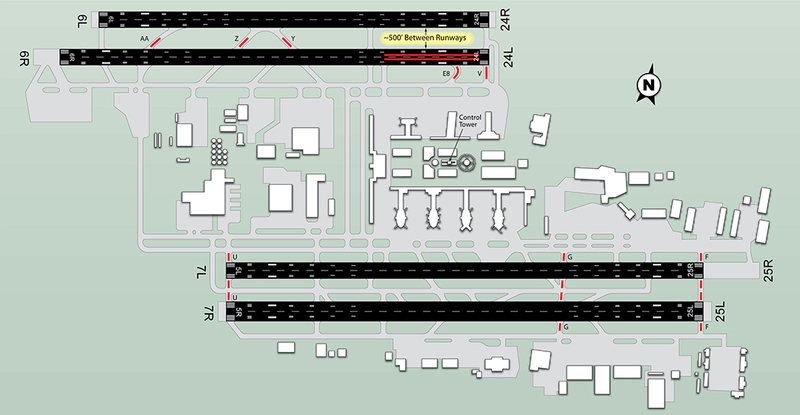 How to verify the runway numbers in a systematic way given the high workload during landing?